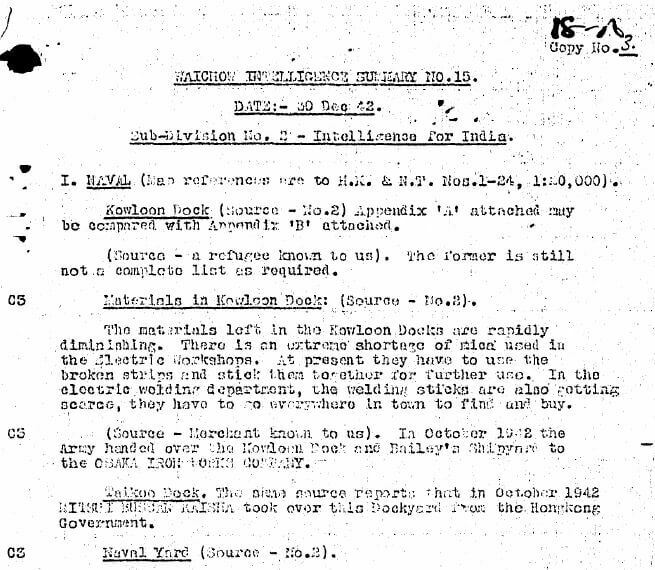 Elizabeth Ride has sent the Naval section of a British Army Aid Group (BAAG) Waichow Intelligence Summary (WIS No.15) dated 30th December 1942. 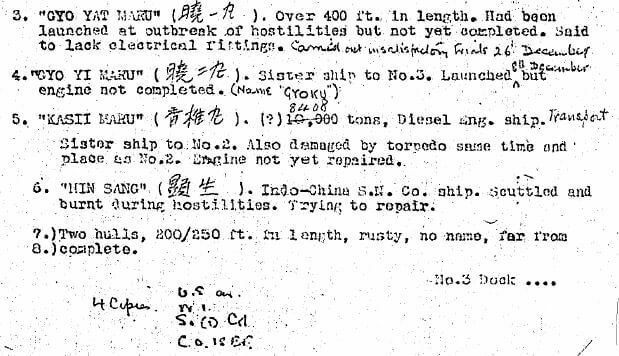 This covers shipping movements in and out of Hong Kong during the Japanese occupation in World War Two during December 1942. 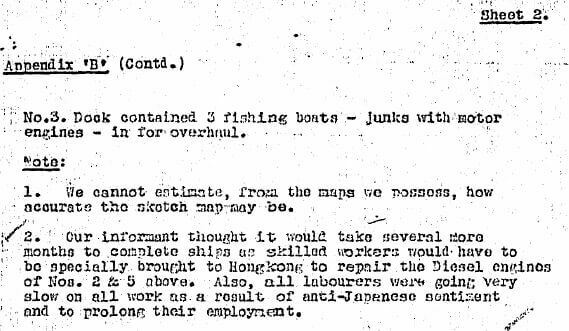 Locations: In October 1942 the Army handed over Kowloon Docks (HK & Whampoa) and Bailey’s Shipyard to the Osaka Iron Works Company. 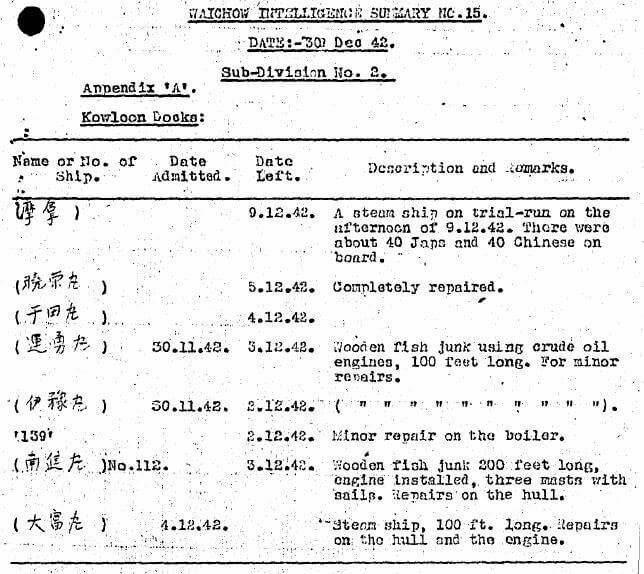 And in the same month Mitsui Bussan Kaisha took over Taikoo Dock from the HK Government. 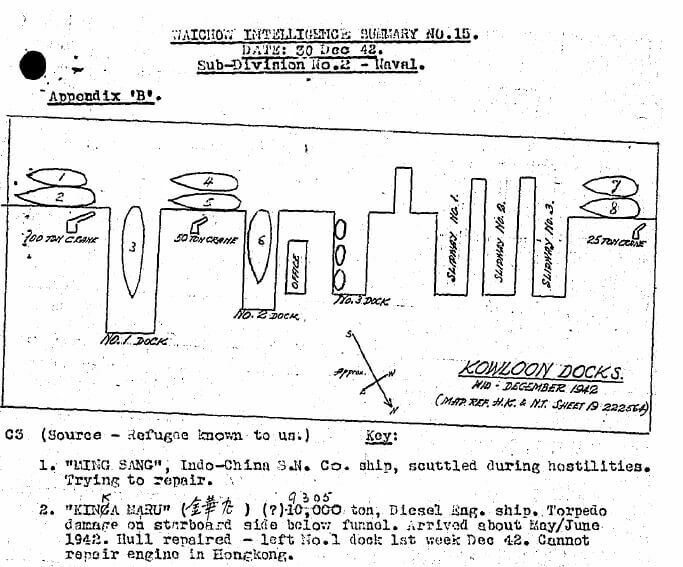 Map mid-December 1942 Kowloon Dock. Naval Yard. This article was first posted on 4th June 2017.